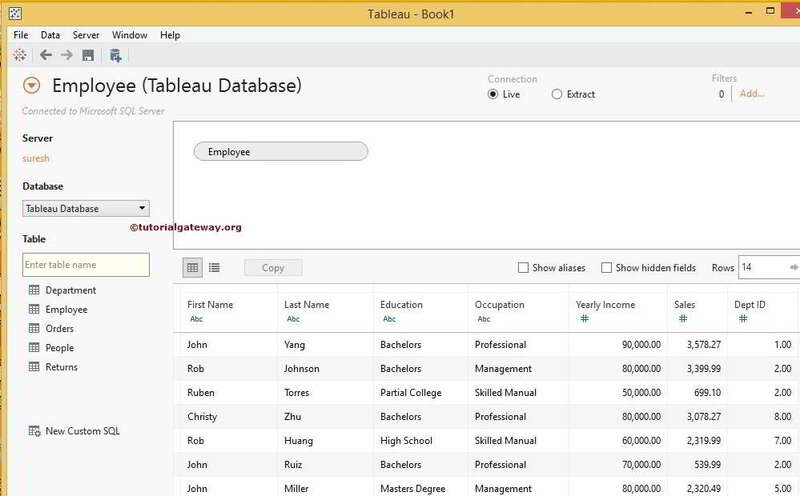 How to Join Data in Tableau with example? 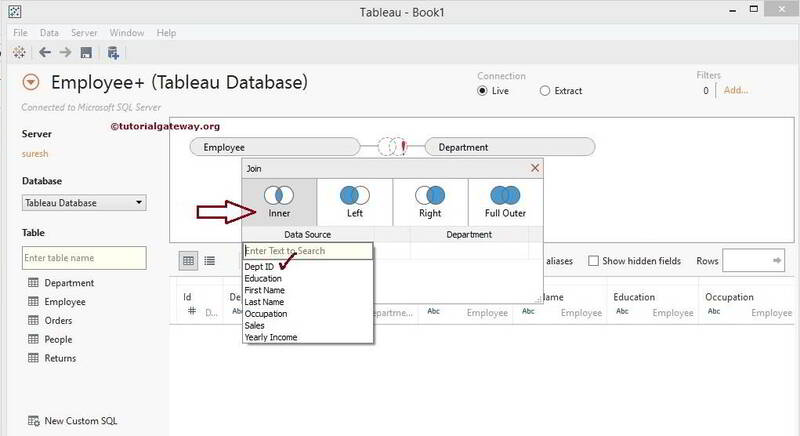 Joins in Tableau plays the vital role in designing reports. In real-time, We usually design reports using database or data warehouse and we all know that the data present in the database is in normalized form. So, we can’t generate reports using a single table (mostly not, as per the business perspective). 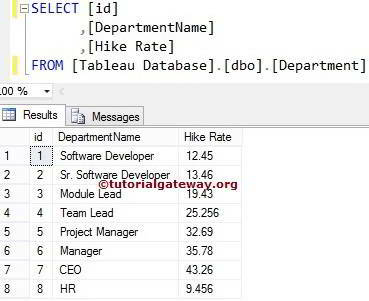 For example, if you want to design a tableau report for Country wise sales, Country information will be in Geography or territory table and Sales will be the Sales table. 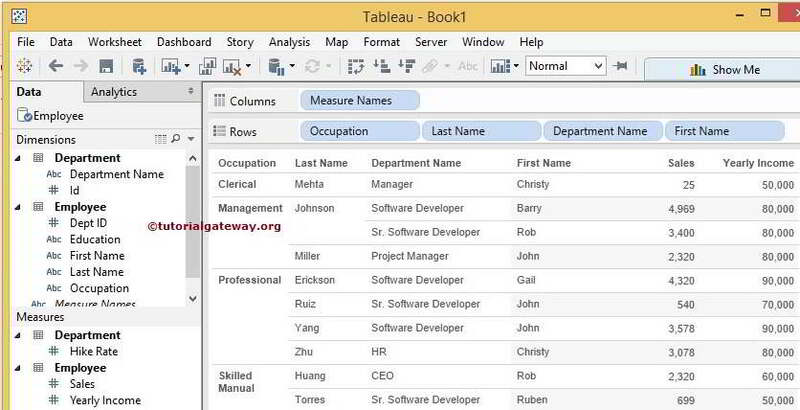 In these situations we can use Tableau Joins to join Geography and Sales tables. 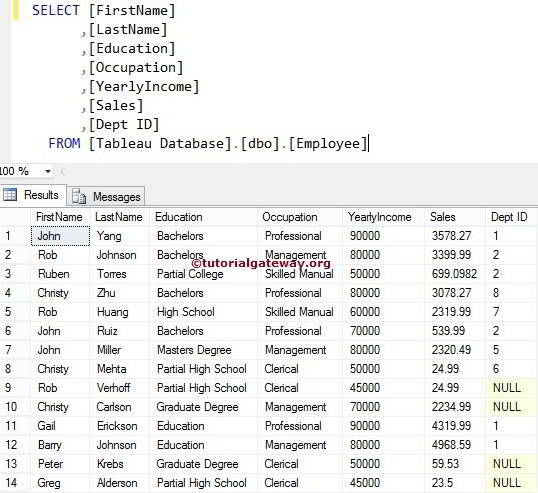 Left Join: This Tableau Join returns all the records (or rows) present in the Left table and matching rows from the right table. Please refer SQL Left Join article. 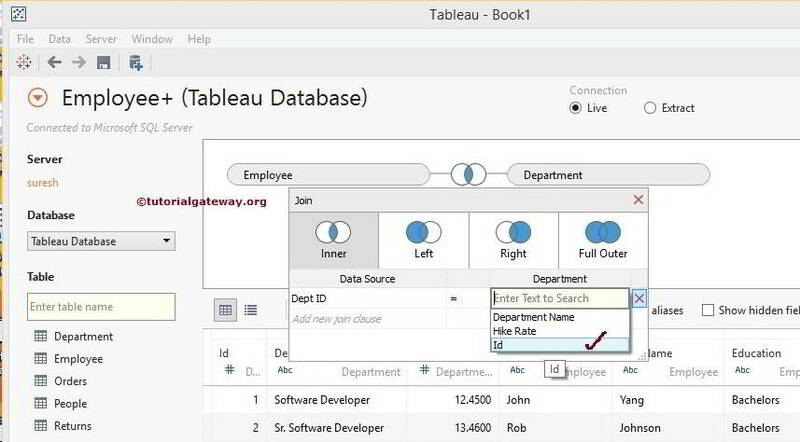 How to Join Data in Tableau ? 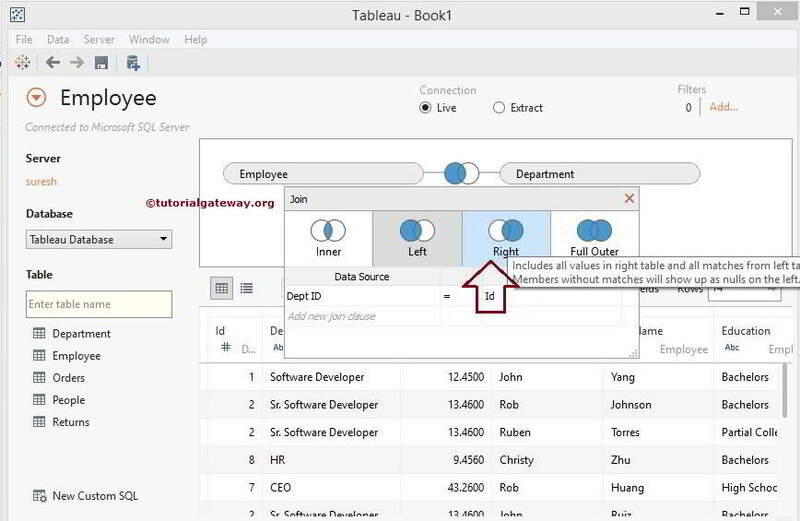 In this article, we will show you, How to Join Data in Tableau with a live example. 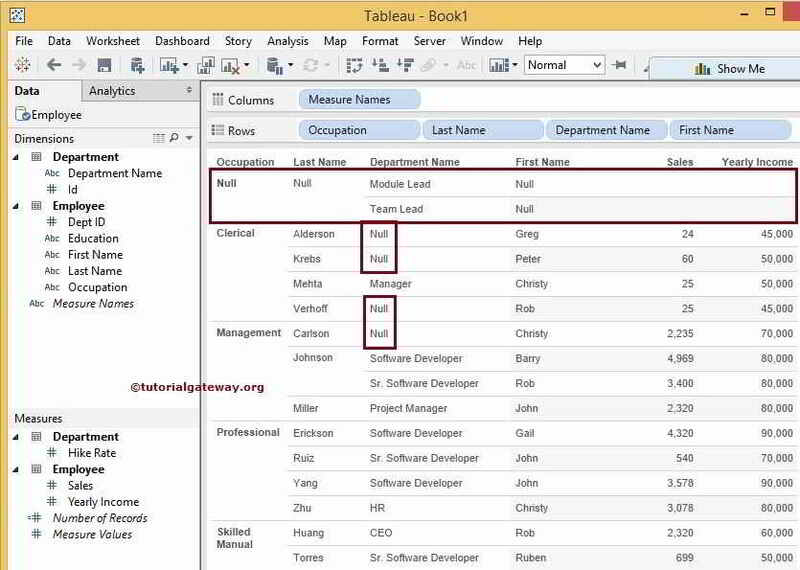 For this, we are going to use the data present in SQL Server so, Please refer Connecting Tableau to SQL Server article to understand the connection settings. 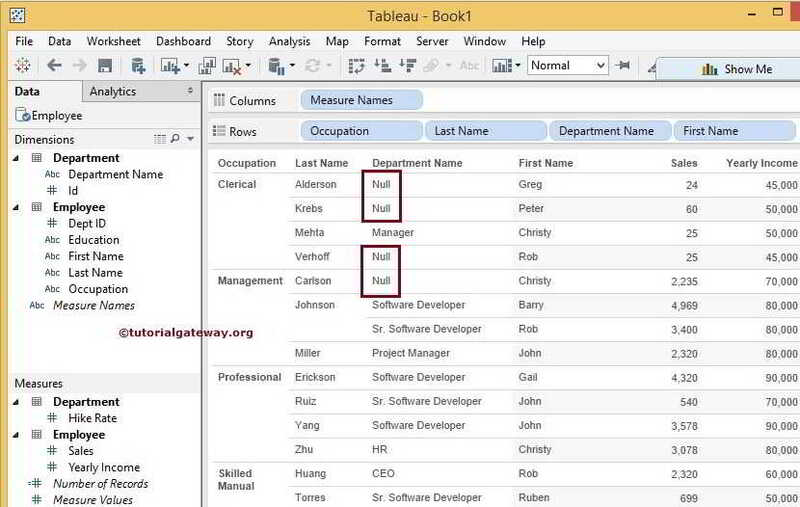 Next, Drag and drop the second table or right table to field region. When you dragged the Department table, a pop-up window will be opened to select the Join type and Joining key as shown below. 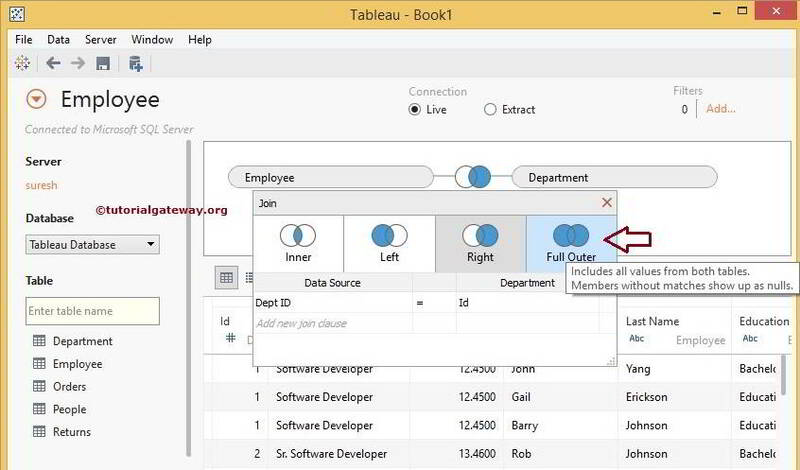 This example show you, how to join data in tableau using the Inner Join. We created simple table report with Occupation, Last name, Department name, First name on Rows and Sales Amount and Yearly income on columns. Let us see the Inner join report preview. From the below screenshot you can observe that Inner Join is producing 10 Rows which includes all the matching records from Employee and Department table. 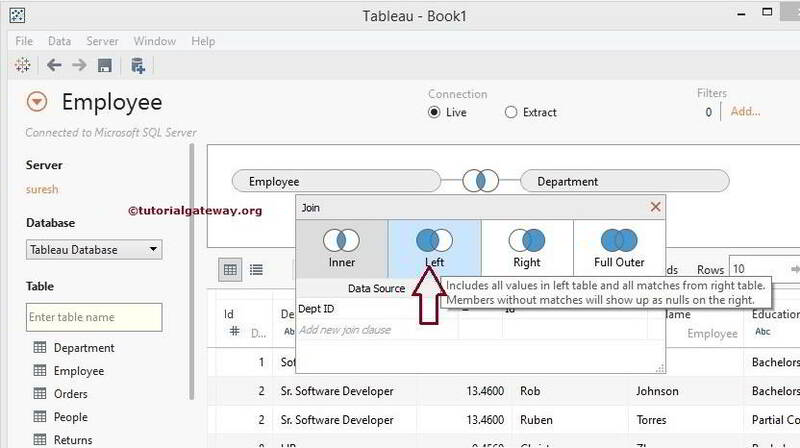 In this Right Join data in Tableau example, we show you, how to join data in tableau using the Right Join. 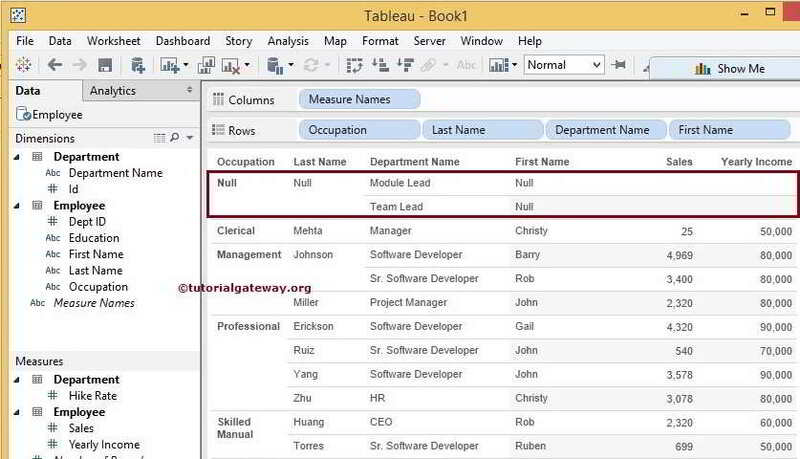 NOTE: Using this Join in Tableau method, you can join more than two tables. Please be careful with complex joins, it will be difficult to understand the data.